Sony has teased three new products that will make their full appearance at IFA 2014, and it seems two of these new device will be smartwatches. 9to5 Google reports Sony will introduce the previously rumored SmartWatch 3 as well as a newly leaked wearable called the SmartBand Talk. Whereas the original Smartband came with a popout activity-tracking chip, sources familiar with Sony's plans say the SmartBand Talk might be a less modular device complete with a curved e-ink screen. On the plus side the wearable will supposedly be IP58 certified, which means the device will be partially water and dustproof. The device will also most likely pair with smartphones over Bluetooth. Meanwhile, the name Talk suggests the new SmartBand could have some sort of feature to speak through the wristband. Along with the SmartBand Talk, sources claim Sony will introduce the third rendition of its Smartwatch. Tentatively known as the SmartWatch 3, Sony's other new wearable will purportedly come running Android Wear unlike its two predecessors. 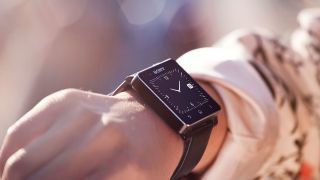 The Smartwatch 3 has also been said to sport a 1.68-inch 320 x 320 digital screen and a design that will supposedly look awfully familiar to the Samsung Gear 2 Neo owners. Aside from the smartwatches, rumors swirling on the web suggests Sony will also introduce a new Xperia Z3 handset at the German tech conference. Specs leaked earlier this August hinted that Sony would introduce a very similar handset to the Xperia Z2 down to its 5.2-inch full HD display, a 20.7MP main camera, a 2MP front-facing snapper, 3GB of RAM and 16GB of storage. A few new upgrades we're expecting on the Xperia Z3 include a slightly faster 2.5GHz quad-core Snapdragon 801 processor, along with a slightly thinner and lighter frame. Otherwise the rumors aren't sounding too tantalizing for current Xperia Z2 owners. It's also possible Sony may introduce a compact version of the Xperia Z3 handset plus a new small Z3 tablet. Stay tuned to this space as we bring you all the Sony announcements live from IFA 2014 on September 3. Is now the right time to jump into smartwatches?